Julia Rai is an artist, writer and teacher working predominately in metal clay. She has a teaching studio based just outside St Austell in Cornwall, UK. ​Well known in the international metal clay community, she has been working with metal clay since 2004 and teaching it since 2007. She holds a Foundation Diploma in Art and Design, multiple metal clay qualifications and she is a fully qualified further education teacher. Julia is on the board of the Alliance for Metal Clay Arts Worldwide (AMCAW). AMCAW’s mission is to encourage a flourishing international metal clay community by nurturing artistic and instructional excellence and providing resources to inspire, engage and support artists of all levels. ​She is the Director of the Metal Clay Academy, an online resource for everyone interested in metal clay. Launched in 2008, Julia has been the webmaster, editor and researcher for this metal clay resource website from the beginning. 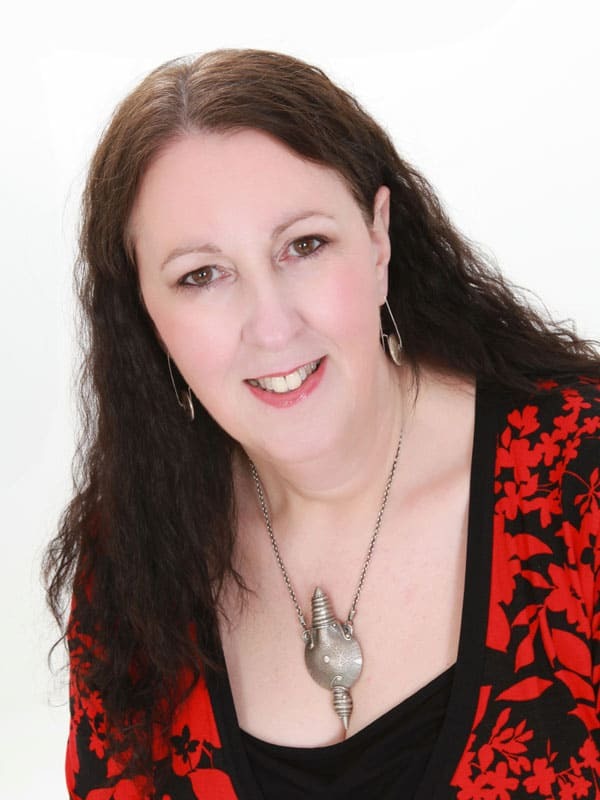 ​She writes regularly for a number of magazines including Making Jewellery in the UK and the international Metal Clay Artist Magazine which is now online at Creative Fire. ​Her first book was published in 2017. It is available from Amazon UK and Amazon US or you can order a signed copy from the CSACJ website here. She teaches a variety of subjects including Unique Textures for Metal Clay, Adding Colour to Metal, Torch Fired Enamel, Lentil Beads and Hollow Forms and the Art Clay Level 1 and 2 Diploma. She also has a number of downloadable video classes on Craftcast and two metal clay video classes on the Jewellers Academy.